Using only the finest pool chemicals and materials, Ocean Blue Pool Service maintains your water clarity and sanitation while providing complete cleaning service for your pool. We remove all debris from your pool , brush where necessary and maintain your filtration system. We routinely eliminate phosphate and metal build up. We use the best chlorine available that will make your water so clean and comfortable it will sparkle. 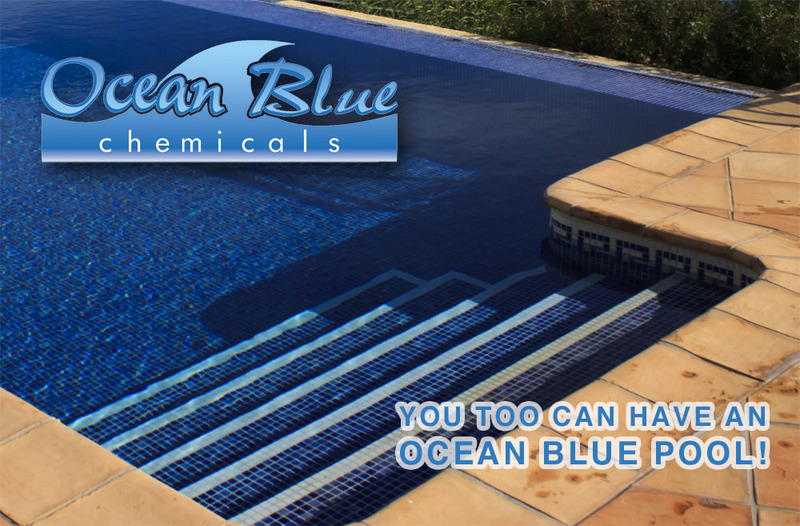 Ocean Blue Chemicals is committed to providing the highest quality pool supplies and chemicals to maintain the proper chlorine, pH and alkalinity. If your pool runs out of chlorine for any reason, you can contact our office so we can schedule an extra call at no additional charge. Let pool maintenance be a thing of the past by leaving the worries to Ocean Blue. We'll care for all of your pool cleaning needs and upkeep while you concentrate on the pleasures your pool was intended for. Depending on your maintenance package, our weekly cleanings include: checking of chemical balance; brushing pool tiles; skimming the water surface; vacuuming; emptying skimmer and pump basket; brushing walls and floors; and service filter systems as necessary. All work is licensed and insured. Our maintenance and service personnel are background checked and drug tested. Ocean Blue Pool Service takes pride in a special service we provide to our customers -- we provide you with a weekly report of service provided and proof of service stored at your location. Satisfaction is guaranteed!! 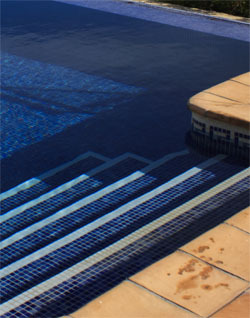 If you're not happy with your current pool service provider, contact us and we will do what it takes to make it right.